Heinrich Popow turned a chance encounter with a stranger into a personal life motto: “Always go a step further than the rest”. At the age of nine, as he lay in a hospital bed in Bonn awaiting a transfemoral amputation necessitated by bone cancer, Heinrich received an unexpected visit from a man who promised the boy he would even be able to do sports again one day: “You’ll be able to do everything again. You’ll just have to work a bit harder than everyone else.” Then the man lifted his trouser leg, showed Heinrich his prosthesis and told the boy who he was. It was Paralympic racing cyclist Arno Becker, winner of the individual time trial at the 1990 German championships. Heinrich is now an O&P professional himself. In this profession, he also benefits from the wealth of experience that he gained through close, ongoing collaboration with Ottobock’s development department. His practical and theoretical knowledge and his expert feedback have frequently influenced the development of products for everyday use as well as custom solutions for recreational and competitive athletes. Heinrich Popow is especially passionate about opening up the way to sport for more people. “Not running isn’t an option,” he counters whenever potential new runners are refused the necessary support. He travels around the world with the Running Clinics, courses that provide physical and mental support to help beginners in particular make better use of their performance potential with sport prostheses. In 2015, the German National Paralympic Committee (Deutscher Behindertensportverband) and Ottobock hosted the Talent Days in Duderstadt, where Heinrich concentrated entirely on children and adolescents. Everyone involved in this successful project is absolutely committed to continuing it. Heinrich is an extremely popular figure who is involved in a wide range of causes beyond athletics: He accepts invitations from schools to visit their gym classes. And he liaises with the hospital in Bonn and other German hospitals in which young people are awaiting amputations. Speaking with them about their future, just as Arno Becker did with him, means a great deal to Heinrich. When they leave the rehabilitation clinic, he invites them to Leverkusen. “I teach them to rely on their prosthesis when they walk. It isn’t about athletic training.” Or perhaps not yet, depending on the person. Above-the-knee amputees ranging from beginners to advanced runners train under Heinrich Popow’s expert supervision. 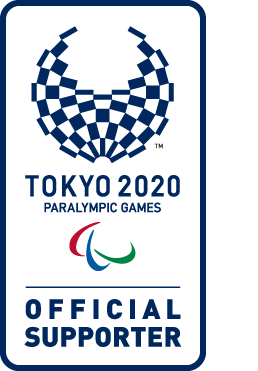 The equipment used by athletes competing at the Paralympic Games relies on the latest technology and innovation. Here we show how it works. 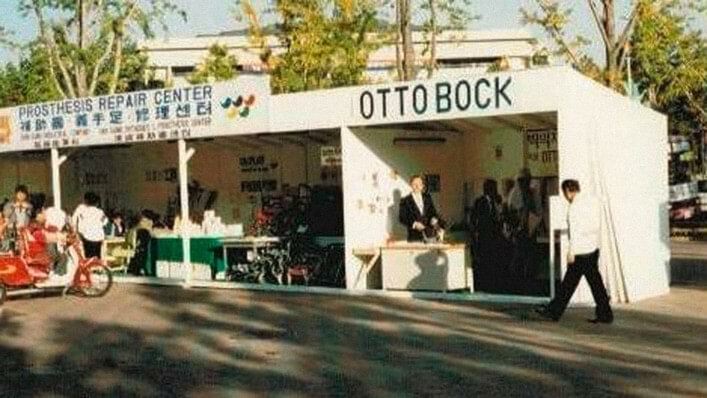 Ottobock has been a partner to the Paralympic Games providing technical service since 1988. Read more about the history of the Games and this unique role.